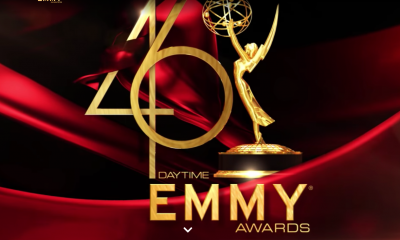 The Daytime Emmys which continue to struggle to regain its former prominence in a daytime industry that has been evolving and changing rapidly over the last ten years, with the loss of so many daytime dramas, the influx of talk, cooking, and lifestyle/reality programming, is considering creating a new award show hybrid featuring elements of daytime programming, news and documentaries, and the sports Emmys. NATAS chairman Malachy Wenges stated to Variety, he would not replace any of the existing awards shows — but would seek to draw upon the added star power that the news and sports events provide. “Those shows are powerhoused with a lot of talent,” Wienges said. The NATAS chairman also weighed-in on how he felt the HLN telecast went on Saturday night for the 39th Annual Daytime Kudofest. 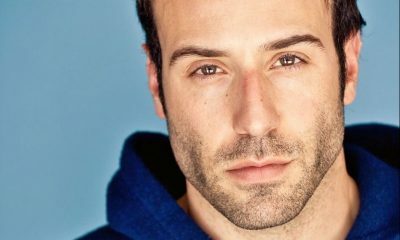 While saying that had gotten much positive feedback from this year’s edition, he acknowledged that the tributes to departing soaps such as All My Children and One Life to Live, which were noticeably clip-free, could have been improved upon. He cited the time and pace of the show as one issue. This year’s Daytime Emmys, which Wienges decided two weeks ago would not have a host, managed to get every award from this year’s ceremony announced live, while running only eight minutes over its scheduled two-hour broadcast. The only other non-awards moments were an opening bit featuring Anderson Cooper and Oscar the Grouch, and an “In Memoriam” segment. 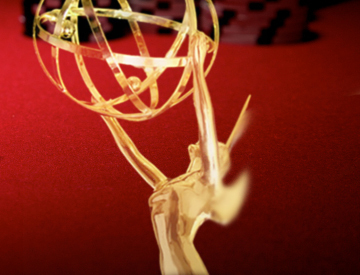 So what do you think of a hybrid Emmys? And, would you like to see HLN air the show next year with more time to improve upon missing elements? Or would you like to see it on a diffferent cable network, if major network television is not an option? Let us know! I’m not sure about the hybrid show idea. It’s better than no awards show at all, but the largest percentage of the audience for this show is soap fans. I can’t see them being happy about enduring a two hour show, for only a handfull of daytime drama moments. As far as HLN is concerned, I’d be in favor of them broadcasting the show again next year. They made a good effort this year and I can’t help but feel that the show will be even better when they have more time to prepare, and learn from their mistakes. The only real reason I tuned in this year was to see the “tribute” that was promised for the departed OLTL. Well, some tribute that was. Susan Lucci talking about her alter ego and Erika Slezak given a few seconds to thank the fans. So frankly, unless a lot of changes take place, particulary in how the winners are chosen, I will pass on the show for next year. A hybrid? Maybe it would work. I think HLN is absolutely the best channel for the Daytime Emmy Awards! They gave the awards a lot of promotion. I really liked how the hosts of all of the news shows expressed the value and importance of daytime shows (ie; Soaps!) and their actors with 2 weeks of interviews leading up to the event, a pre-show red carpet and post wrap up coverage…something the show’s own networks would never do. NBC’s “coverage” on Access Hollywood was an insult to society when they spent more time talking about Bethany Frankle on the red carpet than how it was GH’s night to shine. For not having had much time to plan they did a pretty good job! Fix the music, add some clips, get rid of some deadbeat catagories (AOl award!) I would give HLN another chance. Seriously I don’t think anyone will watch if the soaps are gone I mean who cares if the chew wins because it has the best recipes for the greatest meatloaf ever and I don’t care about anything they have to say over at the view or good afternoon america when that crap starts, or any other show that took over where a soap use to be. Game shows are ok and a few kid shows, I think HlN did a good thing putting the emmys on and should have them on again but start planning now. And what ever they do Don’t invite Ericka Kane. she doesn’t care about anyone but her self she was as bad as the music was which has to be changed to. And next year I heard that One life to live will be able to have another chance because it ended this year, who ever is in charge better do there homework because the awards were lopsided and it was not fair or right that one life to live and all of the actress’s and actors were not given a chance to be up for best of anything including best soap and writing, because they were screwed big time and so were we the fans that love that soap. None of the networks know what the people want and do not care. Who needs more talk, news or reality. It’s double duty on primetime. There is no entertainment anymore. I do not like to watch people making asses out of themselves. What the heck is going on and even Today is adding another hour. I just wish the awards would have been a little more interesting. I thought the show was a complete mess. The tribute that was supposed to be for AMC and OLTL did not happen. Lucci was highly irritating, having a me,me attitude. The few bars of music they had kept repeating and repeating. Not enough camera panning into the audience. I could go on and on. A hybrid awards show wouid be too much mixing of categories. I am sorry but HLN did not have a good broadcast at all. It was reported on tvline.com they where not allowed to show clips for the tribute.Looks like ABC just can’t stop slapping soap fans in the face.Said the three stars where lefted with an awkward moment.Remember this wasn’t suppose to be televise so HlN could only work with what they had in such a short time.I can’t believe abc is interested after they screwed up the tribute for the fans. I wish everyone would stop with the negative comments about Susan Lucci! She simply repeated whatever some writer wrote for her!! Really you think that some writer told her to hog the microphone and not let Ericka Slezak have a few words to her fans, like me? She was cheated and so were the One life to live fans, The last person I wanted to see Saturday night was Ericka Kane making a fool of herself and she did. Not once did susan lucci give ERicka Slezak the microphone she had to reach out and grab it and she never got a word in edge wise. The tribute was for all my children AND ONE LIFE TO LIVE, not just all my children starring ericka kane. And I still have never been a fan of hers. Lynn, sorry, but as much as I respect Lucci, she was not forced to read that drivel. She could have been gracious and refused or tweaked it. It was bad judgement on her part. It’ll blow over soon enough. But for now, people are pissed. I don’t think it will blow over any time soon, She ticked off a lot of one life to live fans, she carried on like all my children was the biggest loss and it wasn’t, there were two soaps that were canceled by abc and the way she took over control of the microphone says a lot about Susan lucci’s self centered attitude and her needing to be above every one else, how many times did she say Ericka Kane? Never heard the name Vicki Lord bucannan once. Everybody is going nuts about this Lucci stuff I even was upset then I remembered Ms. Lucci has always been known more as a Diva then an actress. Two years ago when Oprah had Lucci,Francis,Geary,Morgan,Williams and Cooper on 45min of the hour was given to Lucci the other 15 min to the rest Cooper got two words out. It is what it is she is gone now from Daytime and if they have another Daytime Emmy award show I suggest they leave her off the invitation list. I am sure there were a lot of hard feelings just go and look at comments on Twitter. They should have put just Slezak and Lucci up there and divided the time about the show but they did not and so it goes. I didn’t like it either and think they could have written something different.But I still blame ABC for the mess.It was said on Tvline.com that no clips where shown because of legal issues.To me that meant ABC did it again slapped the soap fans in the face by robbing them of the tribute.Even though I didn’t like what Susan Lucci did I’m gonna blame it on abc for it.The article said it put the three stars in an awkward moment.ABC thinks it would have stirred up more hard feelings over cancelling the soaps it really just made me madder they robbed us of a tribute.So lets aim the anger towards ABC where it really belongs and not letting them by with another things soap fans wanted.There was no reason to do that to the fans.Uncalled for ABC.I’m just gonna keep up my boycott against aBC except gh and try to make ABC miserable like they have us. Adding sports and news to attract more viewers makes sense, but soap viewers aren’t likely to be interested and vice versa. Soaps are not a significant part of daytime any longer that their role is likely to be minimized in future award shows. Such variety in the Emmys is not likely to please anyone, but it is a chance to add more star power, assuming people choose to show up. Anyone but ABC.Won’t watch it on there.No to the stupid reality crap.So sick of takinf over tv why would /I wanna watch a award show for it.If they could get it planned ahead this time then HLN could work with the producers for a good show.Got to remembans in the faceer they only had a telecast of what had been planned.Gotta give them a break.As far as Susan Lucci no didn’t like it but it has been reported on tvline.com they where not able to show any clips on oltl and amc.Guess ABC can;t stop kicking the soap fans in the face and trying to pit the soap fans against the award show.Guess it wasn’t suppose to get out the stars where lefted with no clips.So lets look at the real villan here.Don’t let ABC get by with this and blame the stars. Let’s face it…award shows just aren’t what they used to be. None of them. With all the cable shows out there, plus the regular network shows, I haven’t seen 1/4 of the shows that are nominated. And with the cable shows winning so many of the awards, it just isn’t fun to watch anymore…Daytime or Nighttime…Emmys or Golden Globes. Even the Academy Awards are boring for the most part since I don’t recognize so many of the young stars. The only reason I watch, cliché or not, is to see what everyone is wearing. I will say I appreciated Showbiz Tonight doing the interviews with soap actors and the promotion for the telecast. The red carpet show needs a ton of work, but if they do this next year, they should be able to improve on that.